You asked for it, hamster humor…so here it is! I have done the research and found the 15 funniest family-friendly jokes about our furry little friends. Now, a few of these jokes actually talk about hamsters dying so please use your judgment before sharing them with very young kids. 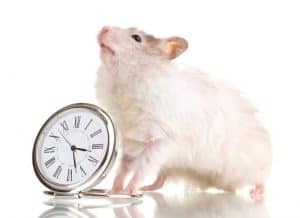 We all love our hammies and we’re here to celebrate their lives and educate owners about the best possible hamster care practices. 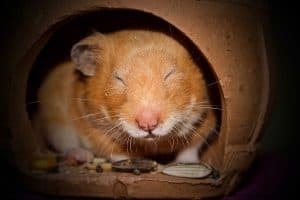 Here at Hamsters101.com, we believe that it’s ok to share a laugh with hamster jokes too, as long as we are committed to the welfare of our pets. That’s why we added links to articles which can help you learn more about hamsters after some of the jokes. Q: Where do hamsters come from? 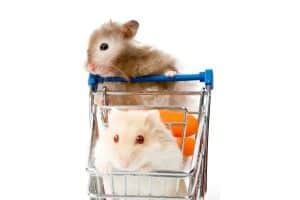 Learn more: What Are Hamsters Anyway? Q: Why does the mother hamster never tells her babies a bedtime story? A: She doesn’t have a tale! Q: Why do hamsters stay inside in bad weather? A: Because it’s raining cats and dogs! Then it became a parent! Q: What do you call a hamster with a top hat? Q: Why did the hamster run away on foot? A: Because he didn’t have a wheel! Q: Why did the hamster quit his job? A: Because he wasn’t happy with the celery they gave him. Q: When does a hamster take a bath? A: Just like us – when no one’s looking! The man pulls a hamster out of his pocket. It jumps off the table, runs across the room to the piano and begins playing songs. And, it is really good! The man says, “Ok!” and pulls a frog out of his pocket and sets it on the table. The frog begins singing the song that the hamster is playing on the piano! A man at another table rushes over and offers $200 for the singing frog. The man makes the trade and the fellow runs out of the restaurant with the frog to get him on The Tonight Show. My hamster died today…he fell asleep at the wheel! GIF’s are short animations that people make to show their funny hamsters. Here are our favorite funny GIF’s and why we love them so much. This adorable white hammy looks so surprised! We think he just realized someone was taking his picture. Don’t you love watching your hammy stuff his cheek pouches like that? Here’s another hamster making the most of his cheek pouches – only this one is wearing a hat! Maybe that’s Abrahamster Lincoln from the other joke? 15. Mama hamster wants to sleep! Hamster pups are so active! This one interrupts his mama while she’s asleep. Remember, Syrian hamsters are solitary animals. If you ever deal with a mama hamster with babies, they need to be separated by the time the pups are a month old. Read more: Can Hamsters Live Together in the Same Cage? He looks busy plotting his plan to take over the world! Just for fun, and because GIF’s can be used to manipulate images without harming a hamster. 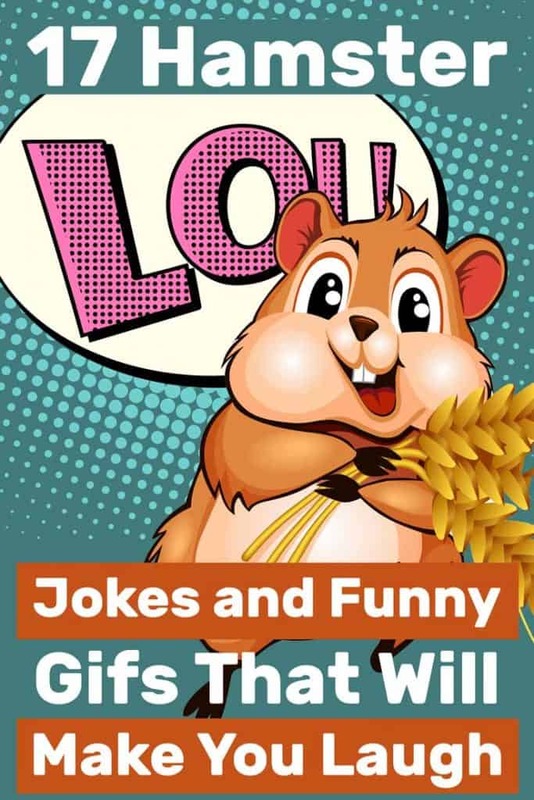 There you have it, a collection of family-friendly jokes and funny gif’s about hamsters. What do you think? Can you come up with any of your own hamster jokes? Share your thoughts in the comments below!